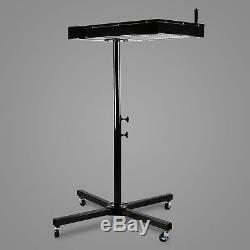 Brand New 18" X 18" Silk Screen Printing Flash Dryer Adjustable Stand T-Shirt Curing. This is a professionally built brand new flash dryer. 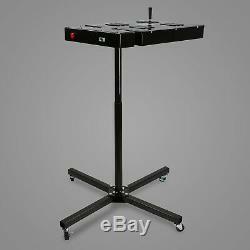 It has a 18x18 heating grid opening, wheels, and a standard 110V plug so there is no special wiring required. 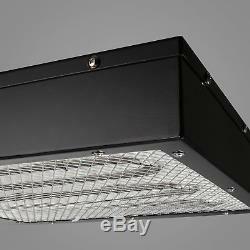 This unit can be raised or lowered from 30" to 48". It is very heavy duty. 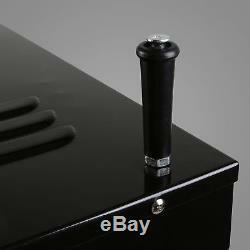 The temperature is over 400 degrees F at distance of 2 1/2 below the flash heating element. 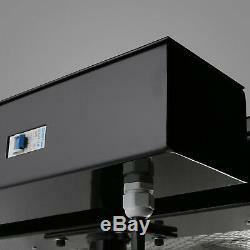 It can easily cure plastisol ink for silkscreen printing. The unit is ultra heavy. It has a base diameter that is reasonable (about 38). It can easily roll thru standard 32 door way. We have a Ranar flash dryer. It is only about 2/3 the weight. It is much lighter so its base has to have a big diameter (over 50) to prevent it from tipping over. (see photo above) This create quite a bit of inconvenience because we keep on tripping or kicking the Ranar flash unit while we are working on silk screen printing. 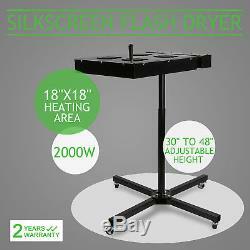 This flash dryer base is compact and it will not tip over because it is heavy. 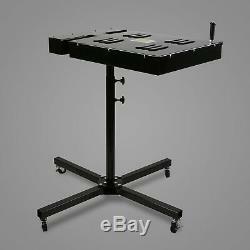 Widely used in home offices and presses which leading the paper era. Notice the fusing fuse in a long time continuous period, rest for cool, and check it regularly. 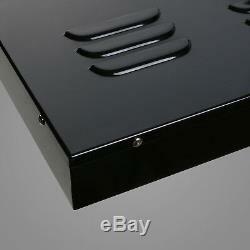 Reserve properly, for electrical components is attractive to dust. Clean it's platform regularly before use and after. 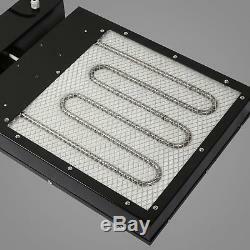 This item takes approximately 5 minutes from initial turn on to stabilize temperature. There will be natural fluctuations in the temperature as you use the item. Heavy Duty Steel Bearing Castors. 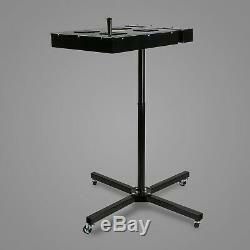 Adjustable height floor stand from 30" to 48". Double Boxed for secure and rigid packaging. Black Powder Coated Steel Welded Frame. Secure Handle for Moving the Dryer in production. On/off switch and over current protection. Styrofoam padded on all sides and internally secured. 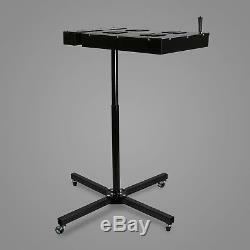 Sturdy Base with wheels for easy use. Plugs into a standard wall outlet. Runs on standard 20 amp house circuit. Heating Area: 18" x 18". Base Dimensions: 38" x 38". Top Dimensions: 29" x 19". Average Current Draw: 13 Amps. Maximum Current Draw: 16.5 Amps. Average Power Usage: 1350 Watts. Maximum Power Usage: 2000 Watts. Assembled Dimensions: 38" x 38" x 48. Max Temp: 60 degrees Celsius. Suggest Temp Range: 0-60 degrees Celsius. 1 X Below Support Bar. 1 X Top Support Bar. 8 X Screw For Base Legs. 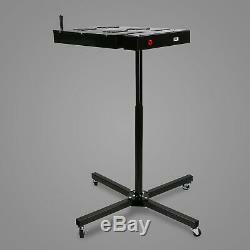 1 X Base Leg Support Plate. As a leading and emerging company in manufactory and exporting business, we are specialized in Business and Industrial Products, Sporting Goods, Pet Products, Home and Garden products for more than 10 years. The item "18 X 18 Flash Dryer Silk Screen Printing Equipment T-Shirt Curing" is in sale since Monday, November 9, 2015. This item is in the category "Business & Industrial\Printing & Graphic Arts\Screen & Specialty Printing\Screen Printing". The seller is "bestfashionitem" and is located in Ontario, California. This item can be shipped worldwide.